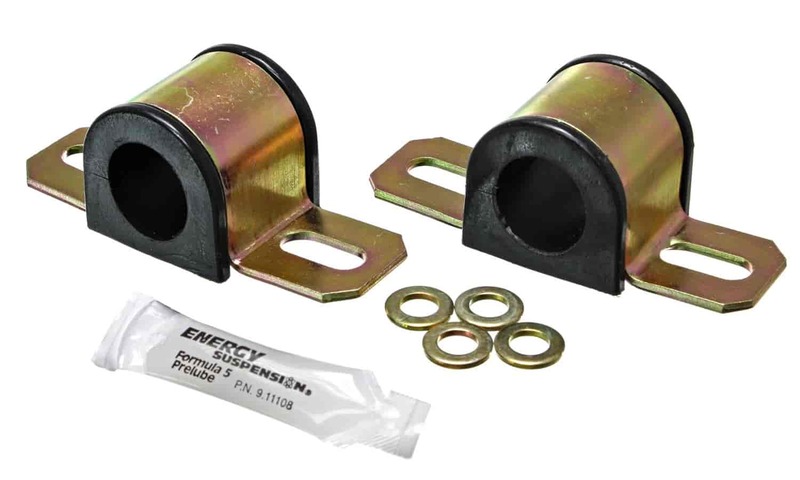 Prothane 19-1134-BL - Sway Bar Bushing Bar Diameter: 1"
Replace your vehicle's extremely soft and short lived rubber bushings with Energy Suspension polyurethane bushings. The polyurethane bushings will allow your vehicle's sway bar to work at its maximum efficiency. The polyurethane construction provides stiffer and longer lasting performance than rubber bushings. They are designed to reduce vibration by eliminating all the flex and distortion of the factory bushings.